The new edition of Klimahouse, which was held, as usual, at the Bolzano Exhibition Center, was recently concluded, and is carried out in collaboration with the CasaClima Agency. 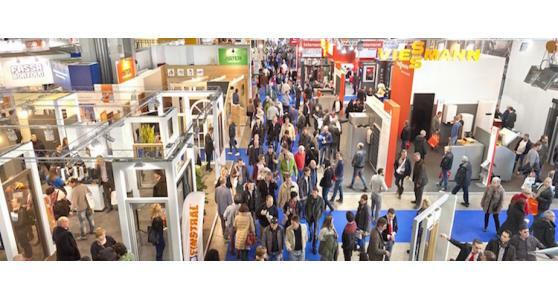 The event gathered the interest of 36,000 visitors and the participation of 450 exhibiting companies. With these numbers Klimahouse wins the undisputed position of the main fair for energy efficiency and energy recovery in Italy. In this edition there were also many visits from abroad and agreements with trade delegations from other countries. The focus of the event wanted to bring back to the center the man, with his needs for habitability in comfortable and redeveloped environments, where he lives well, with attention to energy saving. The importance of sustainable construction was highlighted in all congress meetings, with international resonance. Strong attention was given to the 25 start-ups present. The heart of the fair was definitely Klimahouse Startup Village 2019, where young companies in the sector have proposed innovative solutions with different materials and products. These are start-ups from Italy, Germany, Austria and Switzerland. As in all the demonstrations of respect, the 14th edition of Klimahouse also presented a competition to highlight the most interesting innovations in favor of energy efficiency. This is Klimahouse Trend, a professional contest in which 53 companies participated. The winner is Ecosism who created "Genial Seismic Coat", a product capable of integrating seismic safety and thermal insulation with a strong reduction in consumption costs. The buildings of the future are in all respects "smart", from smart cities to smart buildings, from smart materials to integrated technological solutions, all aimed at bringing people into a more livable but also more efficient environment, in tune with the 'environment. Klimahouse is certainly a spokesperson for these missions, thanks to the congress appointments that have seen world experts confront the public and professionals in the sector introduce new systems and technologies, which will characterize, from now on, the construction market.